Founded in 1939, Marvel Comics has created many superheroes including Spider-Man, The Incredible Hulk, Captain America, Iron Man, The Fantastic Four, and The X-Men. 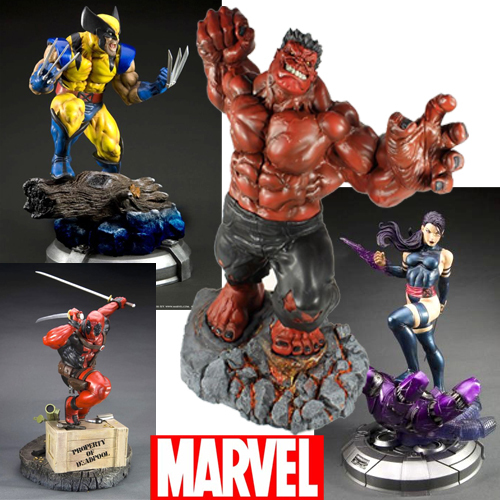 We carry a large selection of Marvel action figures, statues, busts, Heroclix, comic books, graphic novels, t-shirts, hats, mugs, glasses, bobbleheads, and much more. 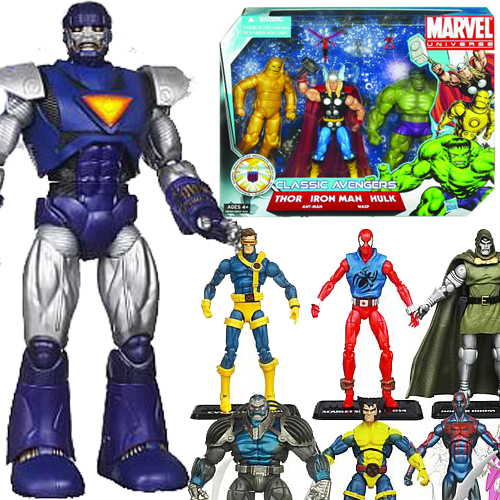 Build your own Marvel superhero team with the 3 3/4" line of Marvel Universe action figures by Hasbro. 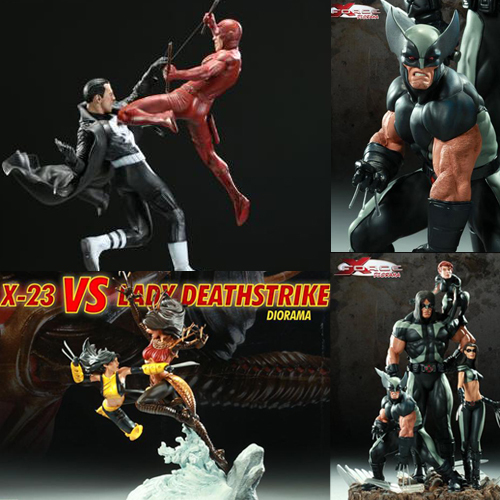 Figures are sold in multi-packs, comic book packs w/2 figures, and single carded. Be on the lookout for the new 16" Sentinel this summer! 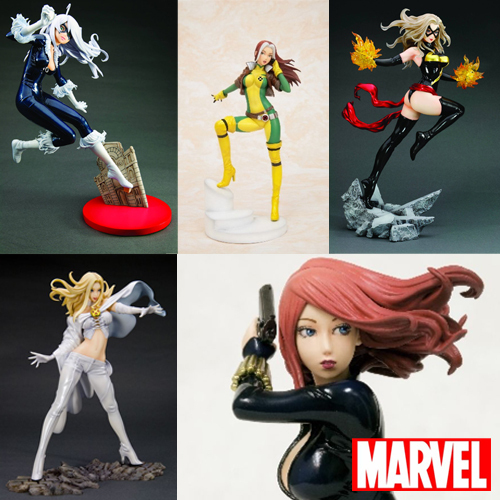 This Bishoujo Collection is a line of PVC statues of Heroines and Villians from the Marvel Universe. Each character is portrayed in the anime style of Bishoujo (pretty girl) and stands approximately 9 inches tall (1/7th scale). Check out the highly detailed Marvel dioramas by Sideshow Collectibles. Some dioramas feature switch-out magnetic hands, weapons, or heads to change up the look of the diorama. Fine Art Busts are comprised of cold cast resin and are limited edition. 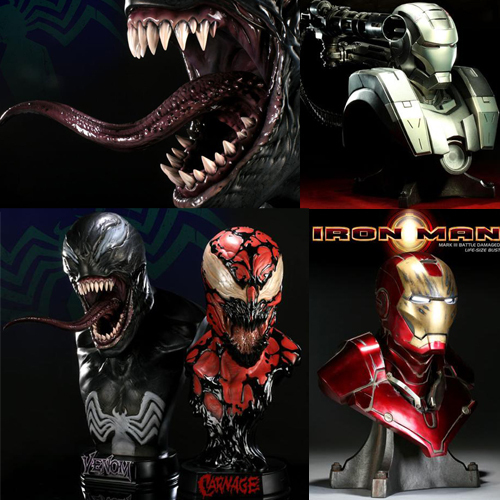 Select busts have interchangeable parts, light-up bases, and/or light-up features. Fine Art Statues are cold cast resin and limited edition. 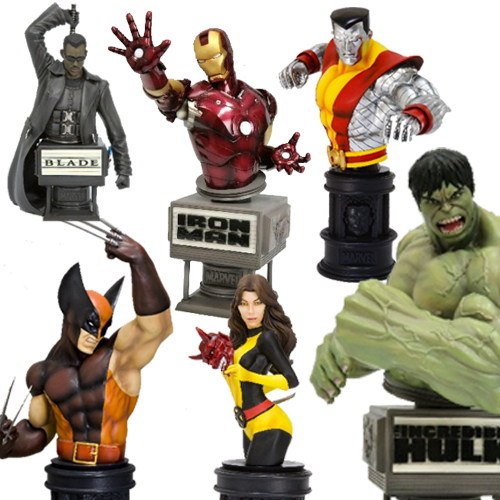 Select statues have interchangeable parts, light-up bases, and/or light-up features. Most statues are between 10-13 inches tall. Collect heroes and villians from the Marvel universe in the ongoing line of Legendary Scale busts by Sideshow Collectibles. 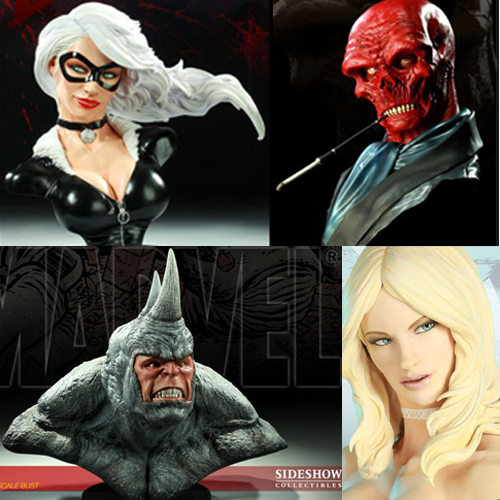 The Marvel life size busts by Sideshow Collectibles are massive, highly detailed, and limited edition. 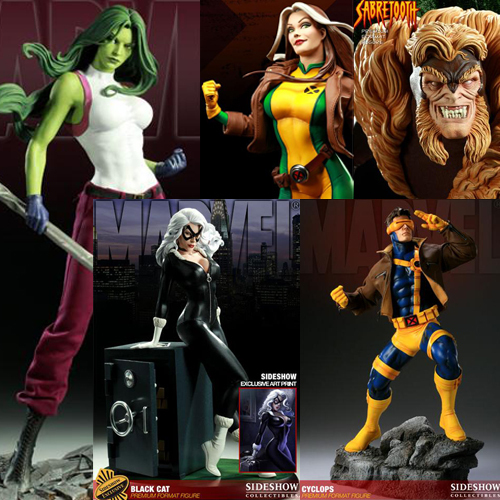 Marvel Premium Format statues feature a mix of polystone and fabrics to create a unique and highly detailed look. 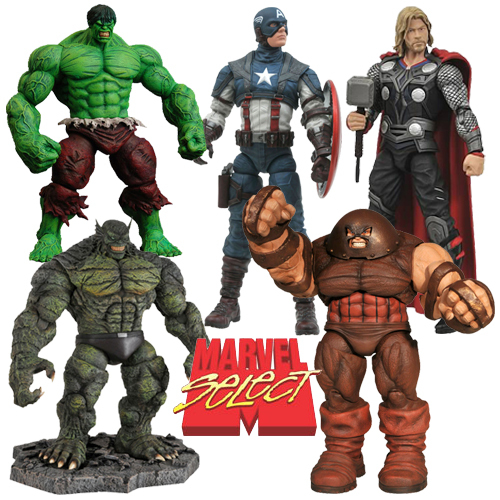 Marvel Select action figures feature 16 points of articulation and stand 6 to 8 inches tall. Figures may include accessories and a stand or diorama. Be on the lookout for rare chase figures! 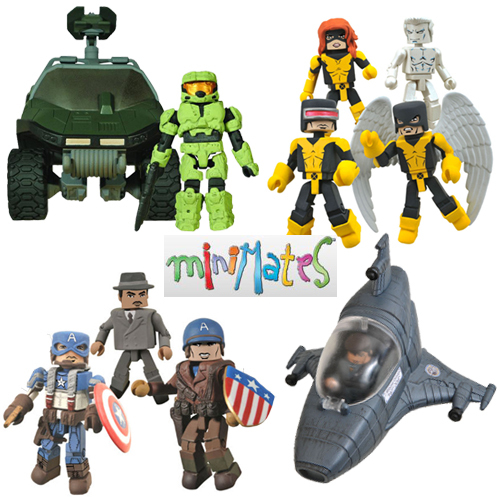 Minimates are buildable figures with interchangeable parts. Although the figures are not fully compatible with Lego, the holes in the bottom of their feet are. We carry Marvel, Ghostbusters, Universal Monsters, Battlestar Galactica, Terminator, and Star Trek Minimates. Select Minimate lines also have vehiicles available.